Certified Nursing Assistants are essential members of today’s healthcare teams. They perform hands-on patient care and routine tasks for people of various ages and states of health. CNAs work under the guidance of a registered, licensed practical nurse, or physician in hospitals, nursing homes, assisted living facilities, and other healthcare settings. Equipped with the technical skills and knowledge learned in the classroom and clinical sites, nursing assistants feed, bathe, dress, position, and transfer patients and provide for their overall well-being and comfort. Graduates of nursing assistant programs in Minnesota must take the Pearson VUE administered state competency exam for placement on the Minnesota State Nursing Assistant Registry. In Minnesota, employment for Nursing Assistants is expected to grow faster than the average for all other jobs, at an average rate of 22 percent through 2022. The American Red Cross offers nursing assistant training to individuals seeking an entry-level career as Certified Nurse Assistant. 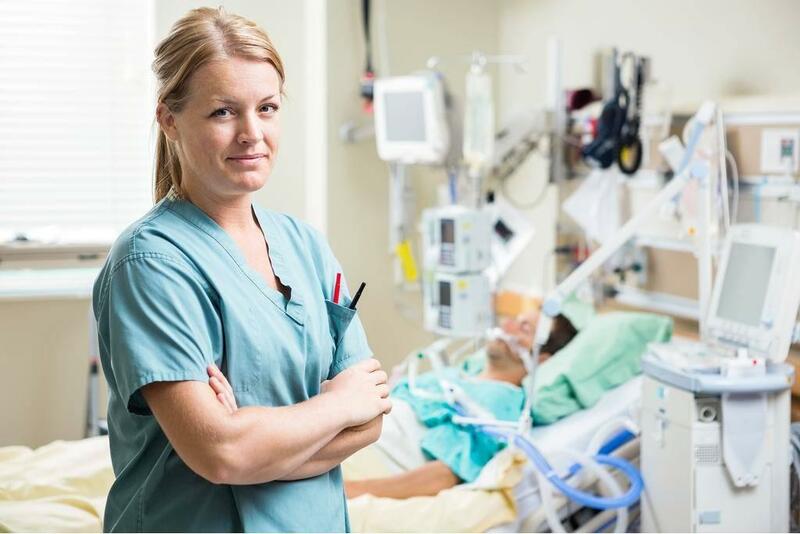 Experienced instructors equip students with the skills to work effectively in the fast-growing industry and alleviate the shortage of qualified direct care professionals. For more than two decades, the ARC has taught nurse assistant students how to feed, dress, bathe, and monitor patients in preparation for employment at assisted living facilities, nursing homes, hospitals, and in-home care. Classes are limited to 10 students per instructor to provide students with personal support in the classroom and clinical sites. The curriculum covers 96 hours of classroom and clinical instruction plus life skill training and preparation for the state exam. Tuition is also available before and after each class. The ARC guarantees experienced, registered nurse instructors, resume workshops, state-of-the-art classroom and medical equipment, job fairs with local employers to provide placement support to all graduates, and 2-year CPR, First Aid and AED certification. Applicants must be 16 years or older and must attend an information session. The cost of tuition includes textbooks, student handbook, study guide, and clinical supplies. Scholarships may be available to qualifying students. Students enrolled in MCTC’s nurse assistant certificate program acquire the basic skills and training, including the fundamentals of nursing, to meet a range of patient needs. They learn how to perform routine health care tasks for a diverse patient population in hospitals, nursing homes, and assisted living facilities. Apart from managing patients’ physical needs, students learn how to address emotional, spiritual, and social needs to ensure patients’ comfort and to promote health and well-being. Course topics include infection control, dependability, collaboration and teamwork, behavior management, patients’ rights and independence, range of motion, personal hygiene, principles of resident-centered care, vital signs, and safety and emergency responses. After developing essential skills during the on-campus laboratory sessions, students apply those skills, under the guidance of an experienced instructor, at an approved long-term care facility. Graduates are eligible to take the Nursing Assistant Test-Out (NATO), available at MCTC, for placement on the state’s Nurse Assistant Registry. Augustana Care invites adults who are ready for a career change, enjoy working with people, and feel compassion for seniors to enroll in their nursing assistant program. In collaboration with Moose Lake campuses, Augustana Care’s Hastings seeks to train, certify, and hire adults who might their criteria for becoming a certified nurse assistant. Interested persons must submit an application, available on Augustana’s website. Those selected for the training will receive a full scholarship valued at $1,100. Classes are offered onsite. Students must commit to full attendance and punctuality. Successful candidates will receive a job offer upon completion. Augustana’s employees are friendly and dedicated and benefit from additional career opportunities, paid time off, retirement, and holidays. ASNA nursing assistant program lets students complete the state required training in less than half the time of other providers. Committed instructors present the material in a way that’s simple and memorable to prepare students for success on the state certification exam. Students have the option to select from a wide range of course schedules and times. The three-week program includes 84 hours of instruction in the classroom, clinical lab, and long-term care facility. The program is approved by the Department of Health. Interested persons may register in person or by mail. The application is available online. The total cost of attendance is $1,000 including tuition, registration, and background study. North American Medical Academy facilitates a nurse assistant program that prepares students for state certification. The curriculum provides 120 hours of instruction covered in 4 to 8 weeks. Graduates are expected to write the Minnesota State Certification Examination for licensure as a Certified Nursing Assistant and Home Health Aide. The nursing assistant course covers the first 120 hours (4 weeks). It includes 80 hours of classroom instruction and 40 hours at a local nursing home. Day classes meet Monday through Friday from 9:00 am to 2:00 pm. Evening classes meet from 5:00 pm to 9:00 pm. Weekend classes are available upon request. Applicants must be 18 years or older, demonstrate basic English reading skills, complete a background check, and have a negative Mantoux test. Tuition includes the course textbook, ID badge, x-ray, uniform and state exam fees. A discount is available for eligible students. Eat Side Neighborhood Services partners with MCTC and Augustana Feeny Manor to supply free nursing assistant instruction to eligible candidates. Students will complete the theory at MCTC prior to commencing the clinical aspect of the program under the direction of professionals at Augustana. ESNS will cover the entire cost of the training including assistance with transport, resume and letter writing, and job placement assistances. They will also provide a stipend that will cover the cost of the state certification test. To apply for the free nurse aide training, applicants must submit a clean background check, be able to read at the sixth grade level at minimum, and have a high school diploma or GED. Midwestern Careers provides nurse assistant students with the information and skills to become a competent nursing assistant. Graduates will receive a Certificate of Completion that will grant them eligibility to take the state certification test. The curriculum covers 90 hours of theory and practical training in four weeks. Classes meet Monday through Friday from 9:00 am to 3:00 pm. Students learn vital signs, personal care, hygiene, mental health, hospice care and other topics to be able to maintain the wellness of the patients they serve. The Nursing Assistant Certificate course at Century College is designed for individuals seeking entry-level employment in direct patient care. Graduates are eligible to take the state exam for placement on the Minnesota Department of Health Nurse Aide Registry. The curriculum includes preparation for Home Health Aid. Students have two enrollment options for the program: the non-credit option is available through Continuing Education and the college credit option through Academic Affairs. The curriculum for both options is the same. However, for the Continuing Education option, applicants won’t need to apply as a Century College student. Students looking to utilize financial aid resources and advance to a degree in nursing should choose the “for credit” option. Both courses require mandatory attendance and background clearance before clinical placement. Applicants selecting the credit registration must submit an application to the general college with the $20 application fee and complete the steps for credit enrollment. Credits earned will appear on the student transcript. Applicants for the non-credit program will submit their registration through the Continuing Education Department. Tuition for the credit course is $716.44 ($179.11 x 4 credits) plus $20 for the application. The cost of the non-credit course is $839.00. Students must budget an additional $213 for the Nurse Assistant Competency Exam available through Continuing Education. The Institute’s Nursing Assistant Training is targeted to new Americans seeking employment as nursing assistants. Graduates are eligible to take the state competency exam to work as entry-level employees in nursing homes, assisted living facilities, and long-term care facilities. The school’s employment specialists assist graduates with the job search process. The program comprises of classroom learning and clinical instruction, which includes cross-cultural differences. Small class sizes, with a student/teacher ratio of 6 to 1, improves students’ chances of success on the state exam. The school currently has a 98 percent pass rate on the certification exam. Applicants must be an official refugee, naturalized U.S. citizen, permanent resident or have permission to work in the U.S. They must also pass an English written test and interview, demonstrate competency in oral English, and be in good physical health. Classes meet Monday through Friday from 8:30 am to 2:30 pm and run for 8 to 11 weeks based on the schedule. Tuition is free, but students must pay for a criminal background check ($20) and the Nurse Assistant Competency test ($100). Students must also budget for uniforms and transport to the clinical sites. The Nursing Assistant certificate course prepares students to care for elderly patients and persons requiring in-home care. The program includes content for home health aide training. Graduates can take the state competency exam for certification as Certified Nursing Assistants. Day and evening schedules are available at the Rosemount Campus. During the classroom and hands-on lab sessions, students learn medical terminology, infection control, basic nursing principles, feeding and nutrition, communication and interpersonal skills, patient hygiene, patients’ rights, patients’ independence, range of motion, rehabilitative and restoration techniques, anatomy and physiology, mental health concepts, and hospice care. The supervised clinical practicum at an approved facility gives students the opportunity to apply the concepts and skills learned in the classroom. Graduates earn 5 credits at the end of the program. The cost of attendance is $1,299, including tuition, fees, tools and equipment, textbook, and supplies. The nursing assistant certificate program at Normandale Community College is in high demand. Graduates are qualified to the take certification exam for placement on the Minnesota Nursing Assistant Registry for employment as a CNA. The certificate course includes instruction in Home Health Aide for placement on the Minnesota Home Health Aide registry. Applicants must provide evidence of negative TB status, full clearance of a Minnesota Department of Human Services Background study, effective written and spoken communication skills, and an ability to lift up to 50 pounds unassisted. A combination of didactic and practical training includes vital signs, personal hygiene, elimination, feeding, nutrition, range of motion, infection control, and meeting the emotional, spiritual, and psychological needs of patients. Attendance is mandatory to meet the Minnesota Department of Health regulations. The estimated cost of the 4-credit course is $1,100, including tuition, uniform, books, and lab supply kit. Students enrolled in the nursing assistant program at St Paul College explore the legal, ethical, and safety issues involved in patient care. The intensive classroom and clinical training prepare students for success on the National Nurse Aide Assessment Program (NNAAP) test for inclusion on the Minnesota State Nursing Assistant Registry. Applicants must follow the registration guidelines, which include attendance at the information session (schedules available on the school’s website), completion of the online application for admission, collection of the student ID, and obtaining an acceptable score on the Accuplacer placement exam. The tuition of $943.66 is due in full at registration. The course fee does not include books, supplies, uniform, and the MN Registry test. Students must complete the lab/lecture and clinical requirements at the same time. State regulations require students to complete 16 hours of clinical experiences and 2 hours of clinical orientation to be eligible for the state exam. Students who miss more than 5 hours of classes will not be eligible for graduation. Graduates can take the test at St Paul’s College for a fee of $130 (paid to St Paul College) plus $64 (paid to Pearson VUE). HTC prepares students for the Nurse Assistant exam and a career in the high-demand field of health care in just four weeks. Under the guidance of experienced instructors, students learn basic nursing principles, concepts of human needs, the health/illness continuum, and personal hygiene. The training includes lectures and demonstrations in the classroom, hands-on practice in a simulated lab, and supervised clinical care of adult patients in an approved long-term care facility. Instructors demonstrate 54 skills and ensure students can complete each skill in preparation for the skills component of the state exam. Applicants must have the ability to lift 50 pounds, obtain TB clearance, and pass a background study. Students must attend all classroom and clinical sessions.